hello does anyone have a list or any references to Characters with Chess related names in the work of Robert Ludlum? are definite references to chess, and I wonder if anyone knows of any more. Joshua this is one area where the films are better than the original books - even then plenty of adaptations by others that ought to read better than Ludlum - very chunky & nicking plots from others. The give away in that is in the Bourne Identity the assassin is Carlos the Jackal & some of the plot is taking chunks out of the day of the jackal - Frederick Forsyth. Anyway the character on the Russian side is Spassky/Karpov. Lots of paranoia with US/Soviet chess. Far better chess names in the original Ian Fleming books as well as chess references. Worth visits to public libraries rather than internet corruptions. There are a lot of chess references in both John Le Carré's work and Len Deighton's. Ive read several of Ludlums works I love them. John Le Carré's work and Len Deighton's much better - thanks Justin. "Hi, I'm Mia-Pia. That's 'Mia' as in Farrow; and 'Pia' as in Cramling"
None of the novelists here. I recognise Justin's quote from the book. It was probably in the film too. Mine's the version from the film, which I prefer to the original one. And since we're on the subject - well, I am anyway - there's this novel, long-listed for the Booker prize this year. Three parts through the book (a quality read, btw), a mother seeks some rare face time with her son. She decides to talk about chess (as mothers do ). The conversation turns to a description of a specific game (pp. 167-174). That game? 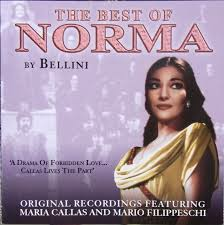 It was played in 1858 during the first performance of Bellini's Norma. White had two eyes on the performance, and only half an eye on the board. Meanwhile, Black (two aristocrats) sweated over their moves, their consultation disturbing both audience and singers. That game is this. Lovely, as ever! Because of it's link to Morphy....What a load of crap. No wonder he played chess. Still not found the book Len Deighton got his chess quotes from in 'Funeral in Berlin'. I have not stopped looking. The book was very good and to get any idea what's going on in the film you have to have read the book. which at the ends wraps up all the mini plots. A really awful film with more loose ends than a 2nd hand woolly jumper. Now of course the film (and the book) suffers from historical inaccuracy. They raise a near complete Titanic. We found out 5 years after the film was released the Titanic broke up into two large pieces. That's a shame, it's a real mystery and it'll be of genuine interest if it ever gets solved. White had two eyes on the performance, and only half an eye on the board. Meanwhile, Black (two aristocrats) sweated over their moves, their consultation disturbing both audience and singers. I read somewhere that the aristos placed the board so that Morphy had his back to the stage, which irritated him intensely and accounted for the severity of the drubbing he gave them. Back to 'Funeral in Berlin' the book. The chapter headings contain quotes from the rules of chess. I doubt the dialogue is in the book as it is one-person narrative from a spy. Watching these films - it is best watching Ipcress file, Funeral, then Billion dollar brain back to back.